FHP continues to investigate a fatal motorcycle crash involving a school bus. Photo courtesy of Erin Hunnicutt. A motorcyclist was killed in a crash that occurred at approximately 4:50 p.m. on Tuesday, September 11, 2018. 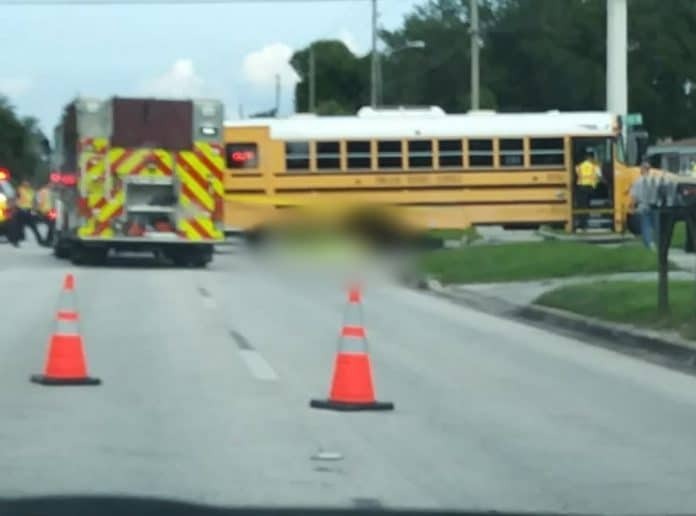 The crash occurred on 62nd Avenue N near 28th Street N.
Investigators from the Florida Highway Patrol (FHP) say a Pinellas County School Bus transporting students of Nina Harris School, was traveling westbound on 62nd Avenue North. The motorcyclist, 21 year-old Wanderley Rosales Echemen of St. Petersburg, was traveling eastbound on 62nd Avenue North. As both vehicles approached the intersection of 28th Street North, the bus driver, 60 year-old Hector Paz of Largo, turned south onto 28th Street North and into the path of Echemen. As a result, the front of 2012 Honda CBR600RR motorcycle collided with the right side of the school bus. 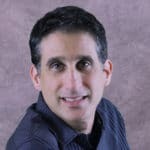 Echemen suffered fatal injuries at the scene of the crash who was reportedly wearing a helmet at the time of the crash according to investigators. Neither the driver nor the 7 passengers on the school bus were injured in the crash. The passengers ranged in age from 18 to 60 years-old. Charges are listed as pending at this time as the investigation continues.